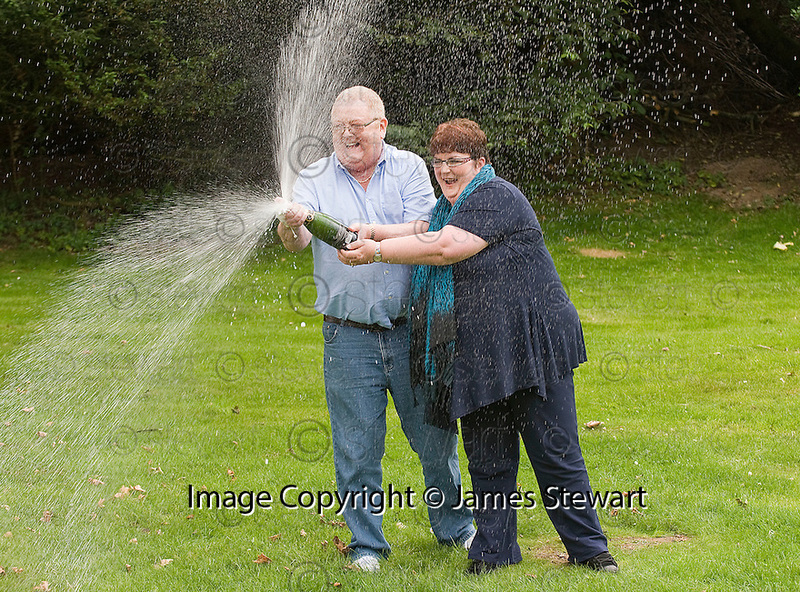 The couple who scooped the £161million EuroMillions jackpot have today been named as Colin and Christine Weir - a retired pair from the small seaside town of Largs in Scotland. The husband and wife collected the bumper cheque which will see them enter the record books for Europe's largest ever lottery win. The couple, who have been married for 30 years, have two children and both suffer from disabilities, said it 'felt like a dream' to scoop the mega prize.